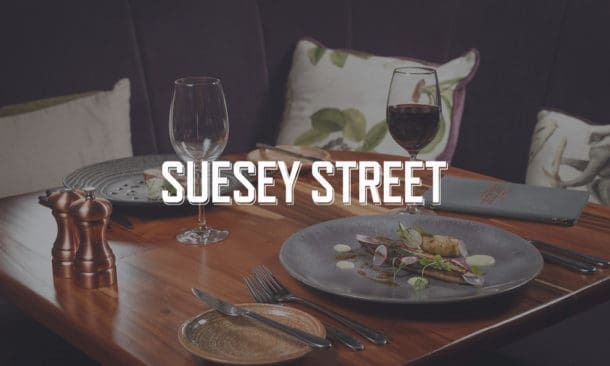 Here at Suesey Street, we like to know exactly where our food is coming from and we’re always curious about what happens to it before it comes through our doors. On a quiet Monday in August we took the opportunity to pay a visit to La Rousse to get a better idea of the processes their butchers follow, and more specifically to have a look at their dry ageing chamber. 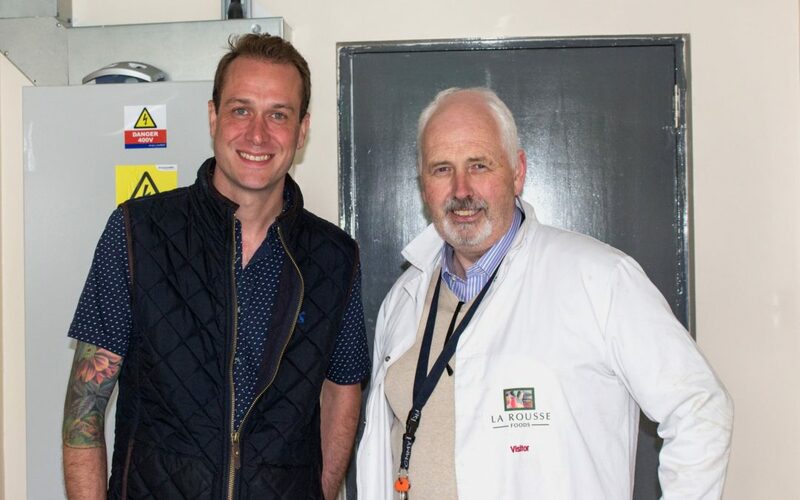 We were introduced to Tom, an absolute gentleman whose knowledge of the procedures and policies at La Rousse gave us great confidence in the tracking and traceability of their meat products. 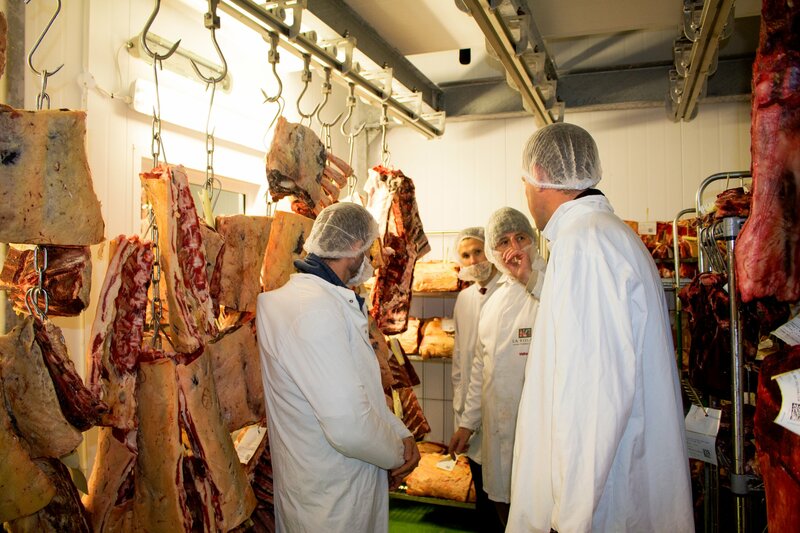 Tom took us through the building from their weigh station all the way to their packaging and collection points; our chefs really enjoyed it but anyone who doesn’t like to know where their meat comes from before it lands on their plate should probably look away now. 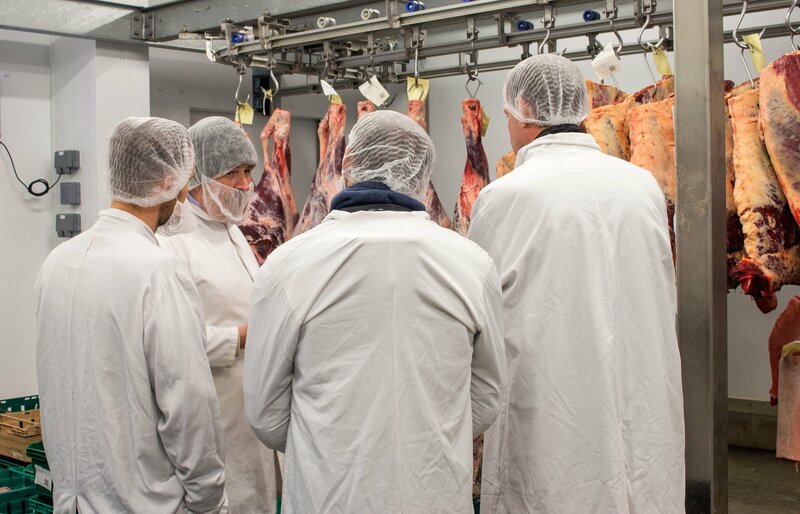 As meat arrives from their suppliers all over Ireland each piece comes with its own passport, everything is recorded and tracked, as well as checked for quality control. Where there may initially just be one large piece with a single passport up to 20 smaller cuts can be made from this, each piece then needs to be labelled correctly and moved down the line. A lot of thought has gone into the layout and position of products to help staff quickly and easily manage stock. As well as being a wealth of information on the day to day running of their set up, Tom also gave us an insight into some of the history of the Dexter cow breed. They had always been a popular breed in Ireland, partly due to their smaller size and ability to thrive on poor land, and while they may be small they can be used for milk or beef making them an attractive option for small farmers. In the 1840s many Dexter cows were brought on famine ships to feed the passengers, some made it across the sea and there are still parts of Canada and the US where they continue to thrive. In addition to our lesson about the Dexter cows, we were also treated to some history on the boars that La Rousse supply. The herd were initially brought to Ireland from Hungary and have settled in very well, there’s a growing demand for boar and it’s great to see an animal that once roamed the wilds of the country back on peoples radar. It’s always great to see the passion someone has for food and Tom has that in spades but on to the main thing everyone was excited to see, the dry ageing room. There’s a very distinct scent to dry ageing meat which can be quite overpowering at first but you quickly get used to it. 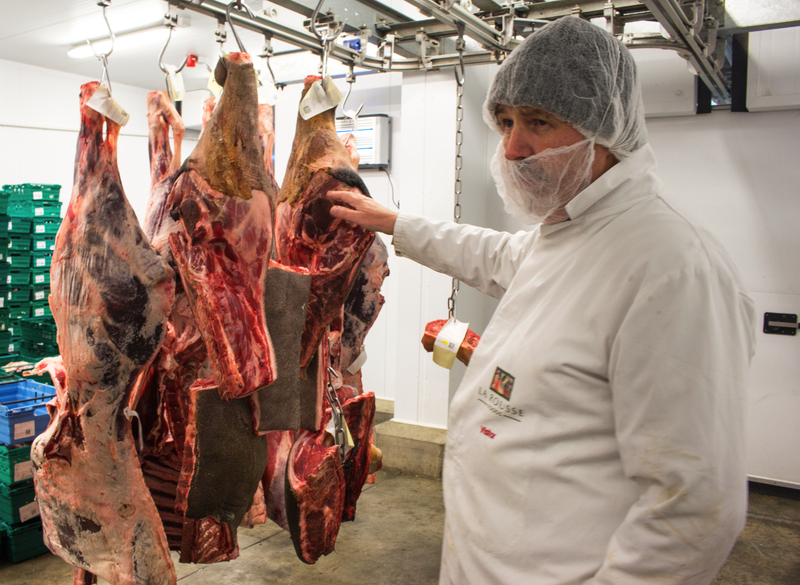 Dry ageing does two key things, removes moisture from the meat and allows the natural enzymes to break down the connective tissue, resulting in tasty and tender beef. The room needs to be kept cold so it’s maintained at a temperature of 1 degree with the air constantly circulating and the doors closed. We didn’t stay too long but while we were there Tom took us through the various cuts, the lengths of time each had been dried for and what to look for in a well-aged piece of meat. 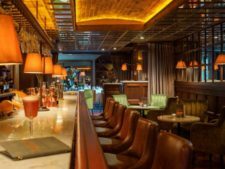 Dry aged meats tend to be found on the menus of higher-end restaurants and Tom has built up a roster of chefs who have become regular customers. Most will ask for the same order of specific cuts every week and some will now only take dry-aged meats, it’s a testament to the quality of his products and given the care and attention paid at every step of the way we can see why people have been won over. One last thing that struck us was the return to wrapping meat in brown butchers paper at the finishing stage of the production. Instead of vacuum-packed trays or individually shrink-wrapped pieces of meat, all of the dry-aged meat orders were wrapped in paper. After going to such great lengths to age the meats it makes sense to maintain a more natural process than wrapping them in plastic so we were delighted to see an old school way of wrapping meat making a return. Less plastic is always a good thing so we’d love to see more of this in the future. We thoroughly enjoyed our look behind the scenes at La Rousse and getting to know Tom better. His passion for what he does and the pride he takes in both the dry ageing room and the results it gives made for a very informative and entertaining afternoon. We really like getting to see where our suppliers source their food before it makes its way onto our menus, and onto the plates of our customers. 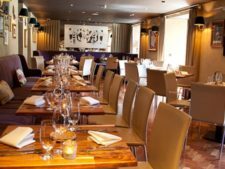 If you’d like to know more about our dishes, why not take a look at our menus or better yet make a reservation and try something new yourself? We’re always here with a warm welcome for you.